Today is the cover reveal of The Play by Karina Halle. 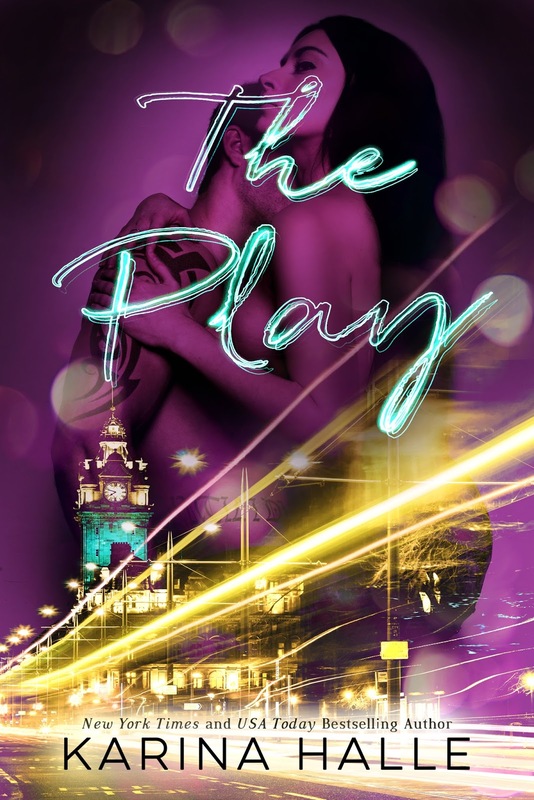 The Play is releasing on October 27. This is a spin off from The Offer, and The Pact. Because the book involves rescue dogs Karina Halle has decided to donate $1 (half of her profits) from every pre-order of the book! The money will go towards animal charities. Karina Halle is a former travel writer and music journalist. She lives on an island off the coast of British Columbia with her husband and her rescue pup, where she drinks a lot of wine, hikes a lot of trails and devours a lot of books. Hit her up on Instagram at @authorHalle. You can also visit www.authorkarinahalle.com and sign up for the newsletter for news, excerpts, previews, private book signing sales and more.